Cartagena de Indias feels like it belongs to a different era. Once an important port on the silver and gold trade route, this city was wealthy and fortified. The impressive remnants of which are why it's UNESCO world heritage listed and why it has so many visitors. The city undoubtedly has a fairytale quality to it and the best places to stay in Cartagena offer visitors a fantastic glimpse into this historic town. In fact while it feels like an exotic destination, Cartagena is also a good place to go if you want to relax - one of the best things to do here is stroll the sea wall, followed by some mojitos in a cafe/ bar and some people watching. Although this may make it sound small - it's not, Cartagena is the fifth largest city in Colombia. The Fortifications. Because of the rich trading, Cartagena is also the Caribbean port most associated with pirates. It makes sense that Cartagena's famous fortifications are slightly set off from today's city - focused around the bay. The best of the forts are the Castillo de San Felipe of Barajas, the Battery of San Ángel in Tierrabomba, the Castillo Fuerte of San Fernando and the Battery of San José in Bocachica. Stroll around the walled Old Town - everything you'd expect a Spanish Colonial settlement to look like. This is one of the best places to stay in Cartagena if you're 'hanging the expense' and want to really be in the heart of things. Despite being ravaged numerous times this area is full of beautiful buildings. Specifically within the Old Town, the Cathedral and the Palace of the Inquisition are majestic and fascinating - and give a great look into Cartagena's rich history. 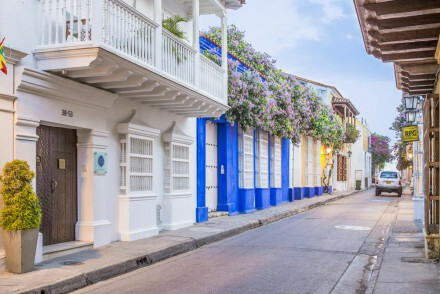 Built for the middle classes, San Diego is where you'll find many of Cartagena's most beautiful old colonial homes some of which have been converted into boutique hotels.These hotels may not always have a lot of rooms but the charm of staying in this area is worth the effort. Or for a different experience, visit Oceanario with marine life, including turtles and sharks, on show in the beautiful waters - it's a great excursion for visitors of all ages. 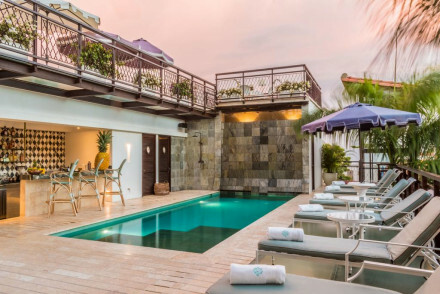 Our pick of the best places to stay in Cartagena includes everything from luxurious retreats to chic properties in the heart of the town ensuring there's something for everyone. If you want to stay in the heart of town, a good option is Casa Pestagua. Right by Santo Domingo Square, this palace of a hotel was built for an 18th Century Count and is often referred to as 'the most beautiful house in Cartagena'. It has gorgeous views over the walled city and a luxurious spa with hot-tubs-with-a-view. La Passion is also in a great central location. This beautiful 18th century palace has been converted into an eight bedroomed hotel with stylish rooms, fabulous roof top swimming pool and cocktail bar. 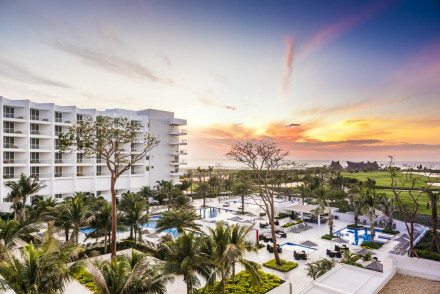 The Sofitel Legend Santa Clara is one of the best places to stay in Cartagena to experience San Diego. It has a grandiose beauty that fits in with the carefully restored houses the area is best known for. It used to be a convent, but with four bars and the largest pool in the walled city it's anything but staid now. 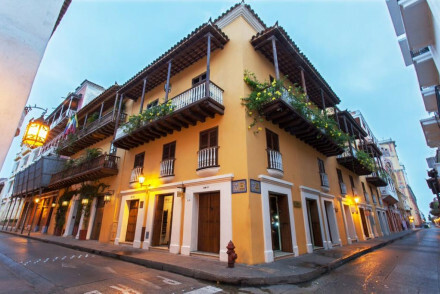 Very chic and central, Casa del Coliseo is a beautifully renovated colonial house in the heart of the historic centre. Enormous rooms feature beamed ceilings, white washed walls and a mix of contemporary and antique furniture. It boasts a rooftop pool and BBQ area. Rent the whole house or just a room. Fabulous. Hotel LM A small luxury hotel in Cartagena's most exclusive district. Housing just seven individually styled rooms that beautifully mix colonial charm with contemporary style. A picture pretty courtyard complete with pool is the perfect hang out and the kitchen serves up excellent regional fare. Tcherassi Hotel and Spa is one of the trendiest addresses in town. Come here for sleek interiors, contemporary art and an award winning restaurant. Casa San Agustin is easily one of the best places if luxury is your thing. The large rooms and suites feature four poster beds and marble bathrooms as standard. Plus there's a courtyard pool and much, much more. Great for exploration of the town and beaches, Casa Don Sancho is a luxury hotel located in the historic walled city and just a short walk from the beach. Beautifully renovated throughout, the house keeps its colonial charm mixed with a clean contemporary feel. Large rooms feature private terraces, wooden fans and high ceilings. A chic choice. 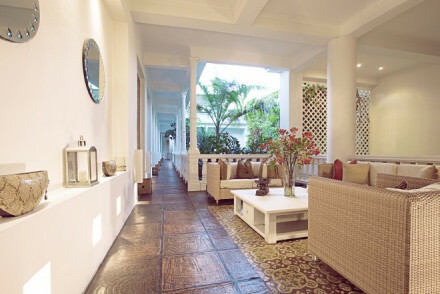 Perfect for relaxing, Bantu Boutique Hotel is an elegant 5* hotel in 18th century building. Characterful rooms have exposed bricks, traditional mosaic tiles and light marble bathrooms. With an outdoor pool on the roof terrace, inner plant-filled courtyard, solarium, hot tub and massages there is Caribbean and Colombian fare in the romantic restaurant. An authentic stay. 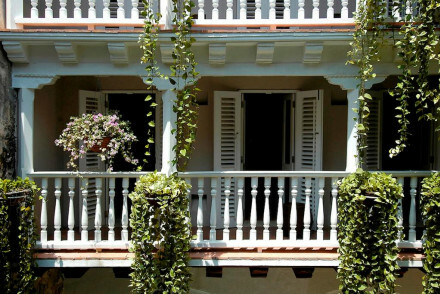 Beautifully traditional, Bovedas de Santa Clara is boutique property in the heart of Cartagena de Indias. White on white throughout with beamed ceilings and natural objects as artwork. Rooms are well proportioned and have a whimsical, romantic air. Well located for city exploring or for heading out into the surrounding mountain range. Very chic. Quadrifolio is a romantic manor house in the old town of Cartagena. Traditional understated elegance throughout the suites with stone floors, wooden furnishings and all the mod cons. Lovely pool, spa and restaurant. Calm, simple and sophisticated. 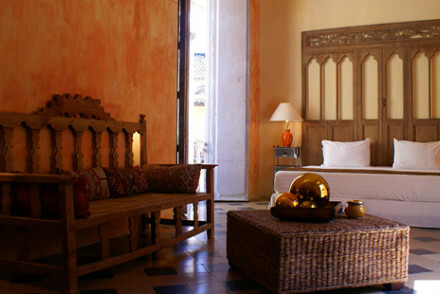 Casablanca B&B is a contemporary B&B in colonial house. 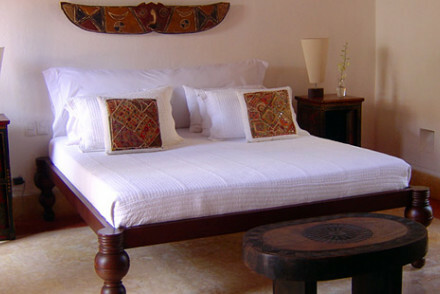 Elegant rooms are awash with white furnishings, antique furniture and granite bathrooms; some with open air showers. There are two outdoor pools, rooftop bar with superb views and a shady courtyard. Spa treatments are available. Chic and romantic with lots of personal touches. Great for foodies, Casa La Cartujita is situated in central Cartagena and offers cooking classes. This stylish property features 16th century colonial architecture with modernist and chic rooms as well as a small indoor pool. Head up to the solarium and work on your tan or go off exploring the area. An incredibly upmarket and elegant city spot! 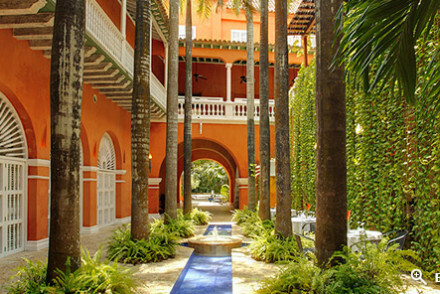 Alfiz Hotel is great value and perfectly located near Cartagena de Indias' historic Old Town. It features traditional & elegant rooms decorated in a typically colonial manner with plenty of antique furniture. Relax in their reading room with a book or head off to explore the gorgeous city. 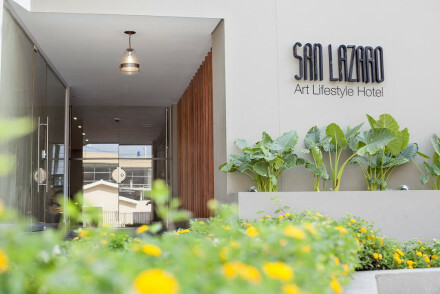 San Lazaro Art Lifestyle Hotel is a chic contemporary hotel located just outside the historical walled city. Cleanly designed rooms feature floor to ceiling windows, crisp white linen and large terraces. A rooftop pool is the perfect spot to sip a cocktail and the hip restaurant serves international and Caribbean fare. 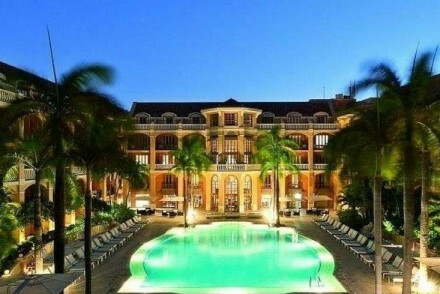 Hotel la Artilleria - this hotel is centrally located in Cartagena de Indias. It features incredibly spacious and simple white rooms and even has its own rooftop pool as well as a terrace. Make the most out of the fabulous location to explore every inch of this historic city. A great value stay with very friendly staff. If you'd prefer your own space, don't hesitate to visit our online partner Booking.com for a range of accommodation both on the coast and in the heart of the city. Fly to Rafael Nunez International Airport located only 11km (7 miles) from Cartagena, with a range of connections to other international destinations. Luxury resort situated just outside Cartagena. The Conrad offers smart modern rooms and suites (some with private pool) accompanied by superb facilities: beach club, kids club, tennis courts, championship golf course and more! A great choice for families and golf enthusiasts. Golf - The 18 hole course was created by Nicklaus Design & is the only Tournament Players’ Club course in South America. 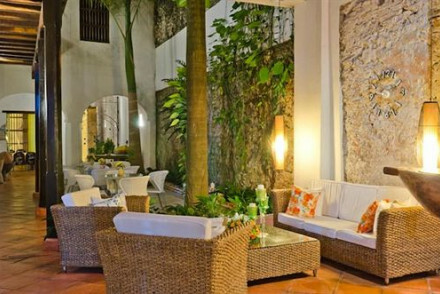 This hotel is centrally located in Cartagena de Indias. It features incredibly spacious and simple white rooms and even has its own rooftop pool as well as a terrace. Make the most out of the fabulous location to explore every inch of this historic city. A great value stay with very friendly staff. A chic contemporary hotel with located just outside the historical walled city. Cleanly designed rooms feature floor to ceiling windows, crisp white linen and large terraces. A rooftop pool is the perfect spot to sip a cocktail and a hip restaurant serves international and Caribbean fare. Fabulous. Local exploring - Well located within walking distance of many of the city's main attractions. City Style - A chic city pad with contemporary design and a trendy restaurant. Great walks - Take a wander around the picture perfect 'walled city'. Sights nearby - Located right opposite San Felipe de Barajas Castle. Local markets - You've got to check out Las Bóvedas market which takes place in an arcade originally built as a dungeon! Elegant 5* hotel in 18th century building. Characterful rooms have exposed bricks, traditional mosaic tiles and light marble bathrooms. Outdoor pool on roof terrace, inner plant-filled courtyard, solarium, hot tub and massages. Caribbean and Colombian fare in romantic restaurant. An authentic stay. A beautiful 18th century palace with traditional facades and classical suites to match. Chequered stone floors, romantic balconies, four poster beds, pastel walls, gilt mirrors and winding staircases. Stunning roof top swimming pool and cocktail bar. Very ethereal. Casa La Cartujita is situated in central Cartagena. This stylish property features 16th century colonial architecture with modernist and chic rooms as well as a small indoor pool. Head up to the solarium and work on your tan or go off exploring the area. An incredibly upmarket and elegant city spot! Cooking classes - Opt for cooking classes in this modern kitchen. 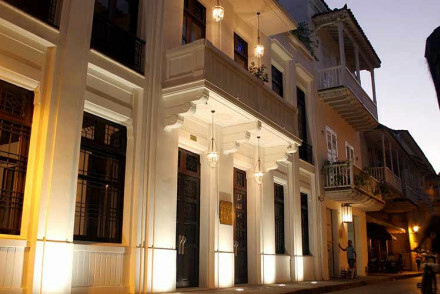 A small luxury hotel in Cartagena's most exclusive district. Housing just seven individually styled rooms that beautifully mix colonial charm with contemporary style. A picture pretty courtyard complete with pool is the perfect hang out and the kitchen serves up excellent regional fare. Fabulous. Local exploring - Just a short walk from the city's historical and cultural sites. City Style - A chic hotel in one of the city's most exclusive districts. Sights nearby - Admire the colonial charm of the ‘walled city’. A luxury hotel located in the historic walled city and just a short walk from the beach. Beautifully renovated throughout the house keeps its colonial charm mixed with a clean contemporary feel. Large rooms feature private terraces, wooden fans and high ceilings. A chic choice. Local exploring - Located in Cartagena’s historic Walled City. Step out the door and get exploring! Sights nearby - Wander through the narrow flower filled streets of the historic walled city and admire the pretty colonial architecture. Local markets - Make a trip to the bustling food market Mercado de Bazurto for cheap authentic eats. Contemporary B&B in colonial house. 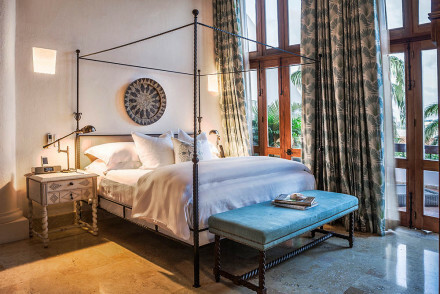 Elegant rooms are awash with white furnishings, antique furniture and granite bathrooms; some with open air showers. Two outdoor pool, rooftop bar with superb views and shady courtyard. Spa treatments available. Chic and romantic with lots of personable touches. A beautifully renovated colonial house in the heart of the historic centre. Enormous rooms feature beamed ceilings, white washed walls and a mix of contemporary and antique furniture. Boasting a rooftop pool and BBQ area. Rent the whole house or just a room. Fabulous. Local exploring - A chic base right in the historic centre. Sights nearby - Visit the grand palace Castillo de San Felipe de Barajas. A romantic manor house in the old town of Cartagena. Traditional understated elegance throughout suites. Stone floors, wooden furnishings, all the mod cons. Lovely pool, spa and restaurant. Calm, simple, sophisticated. 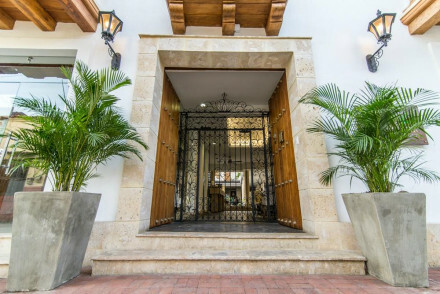 A boutique property in the heart of Cartagena de Indias. White on white throughout with beamed ceilings and natural objects as artwork. Rooms are well proportioned and have a whimsical, romantic air. Well located for city exploring or for heading out into the surrounding mountain range. Very chic. Local exploring - Located in the historical centre of Cartagena de Indias and within easy reach of the city's attractions. Birdwatching - Spend a morning birdwatching at Cienaga de la Virgen. 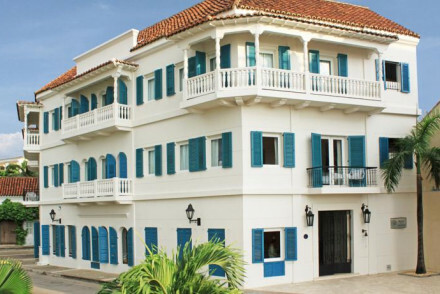 A pair of colonial townhouses fused together by glass, form this chic hotel just beyond Cartagena’s city walls. Elegance prevails within, think marble everything, muted tones and indulgent spa baths. The rooftop cocktail bar, complete with pool and jacuzzi, is a real draw. A perfect city stay. City Style - An elegant and sophisticated hotel in the hip Getsemaní area- neutral tones, French furnishings and a cool rooftop bar! 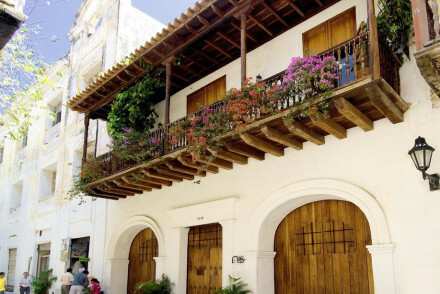 Romantic and grand traditional Cartagenese house in the old town. White washed colonial buildings have frescoed ceilings, hand painted tiles, and coral stone walls. Enormous rooms and suites have high ceilings, four poster beds, and marble bathrooms. Lovely courtyard pool, restaurant and terraces. An absolute gem of laid-back style in a historic location with enormous bedrooms and bathrooms and a fabulous spa offering exotic luxurious treatments. One of the trendiest hotels in Cartagena. Sleek interior design makes use of original elements in contemporary formats. 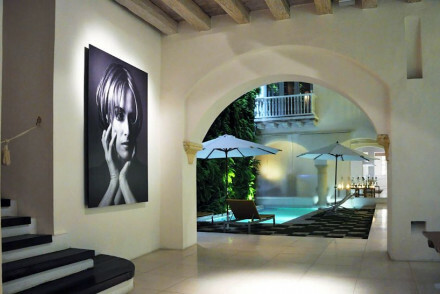 White washed archways framed by modern art, contemporary furnishings against exposed stone work etc. Award-winning restaurant, pool, and fresh suites.